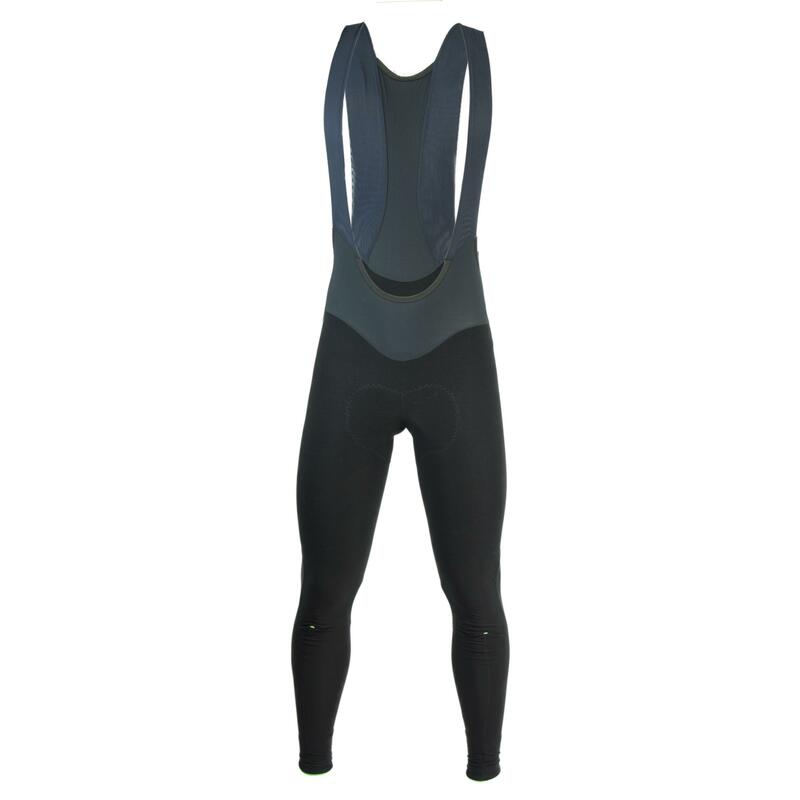 Winter weight long bibs, ideal for temperatures below 15°C. Remarkably light for their warmth, these are a proper performance bib, with an ergonomic race cut and made from a cleverly engineered, water-repellent fabric with excellent compressive qualities. Based on the fit and construction of the Salopette L1 Essential, these tights are built with the same proprietary Tubular Brace System, multi-technology chamois and ergogenic support panels as the Q36.5 flagship bib shorts. 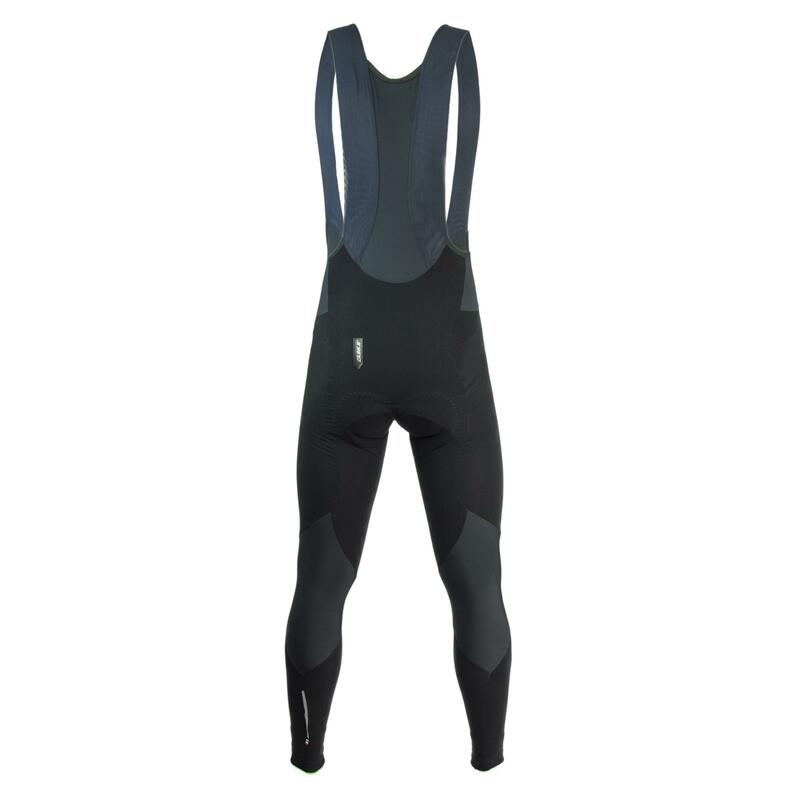 The leg panels are constructed from the lightweight insulating mid-season UF Hybrid Shell fabric also used on the long sleeve Hybrid Que and are cut with a 'pre-shaped design' (note the way the tights 'fall' into a riding position even when unworn, on a hanger) and no frontal facing seams for greater comfort, support and aerodynamics. The threads used for both fabrics have also undergone a water-repellency treatment prior to being woven (so as to maintain their 'natural' structure), improving drying time as well as resistance to water making the tights an excellent choice for wet-weather riding. 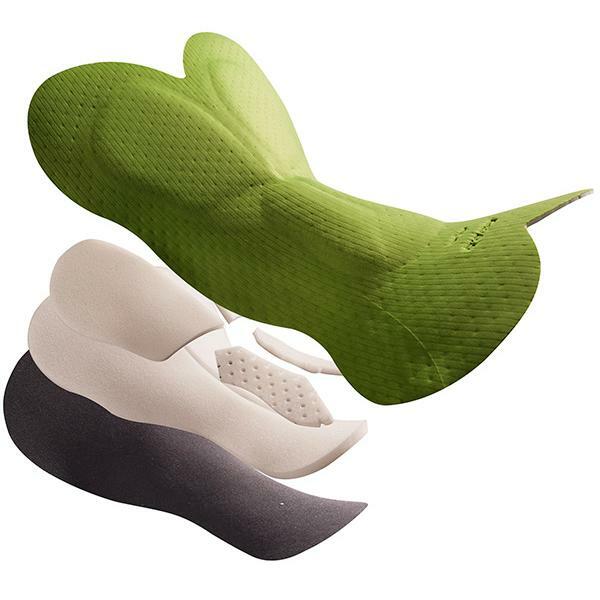 Users of the Long Salopette will note that they offer the same unique feeling of muscular support and guided movement (vectorial elasticity) as the flagship Salopette L1 Essential during the pedalling action. Weight 225g, only 60g more than summer bib shorts.